Historically, St James, one of Jesus’ apostles, made the first pilgrimage from the Holy Land after Jesus’ crucifixtion. James and his brother were originally drawn into discipleship by Jesus’ words, “Come, follow me and I will make you fishers of men,” and after Jesus’ death, James took to heart the Master’s last commission, “Go, make disciples of all the nations,” and he ventured in northern Spain. Legend has it that his bones were discovered hidden away in the town that now bears his name – Santiago – and now lay in the cathedral where many generations of pilgrims have trekked to pay homage. While I’m not big on relics or bones, I can appreciate the significance of undertaking such a journey and finding a charming and welcoming city with a beautiful cathedral at the end of it. 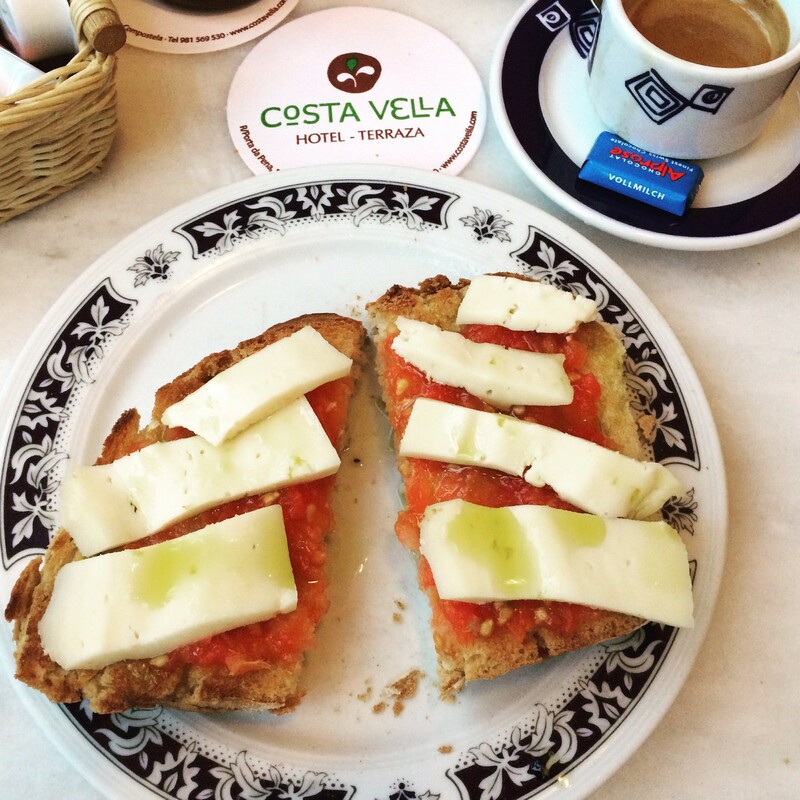 The end of our not-so-arduous journey to Santiago was a delightful hotel called Costa Vella. 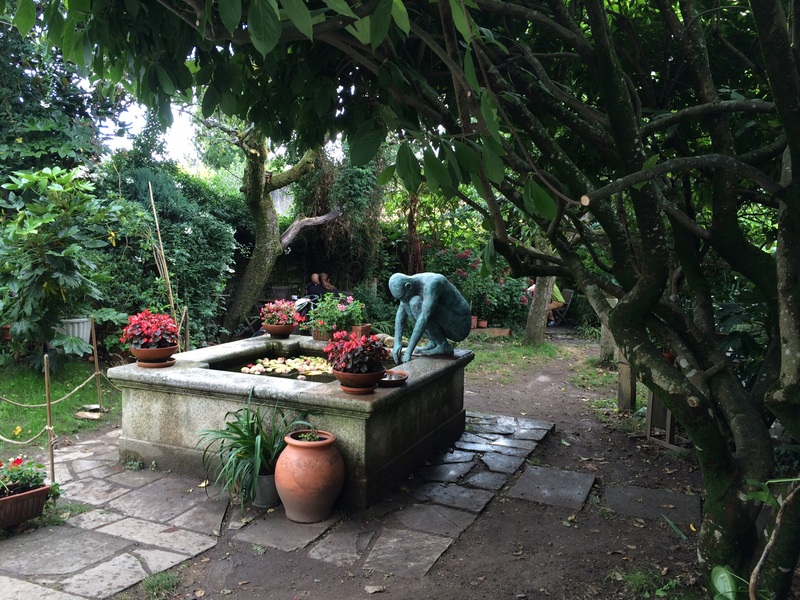 It was a perfect place to call home for a few days as our hosts were keen on providing the best experience possible for their guests. This little 14 room establishment is tightly run on perfecting hospitality and is an oasis of quiet and beauty in the old city. We spent many relaxing moments on the terrace, in our garden view room or on a veranda enjoying an afternoon espresso, a picnic from the local marketplace or a long siesta. 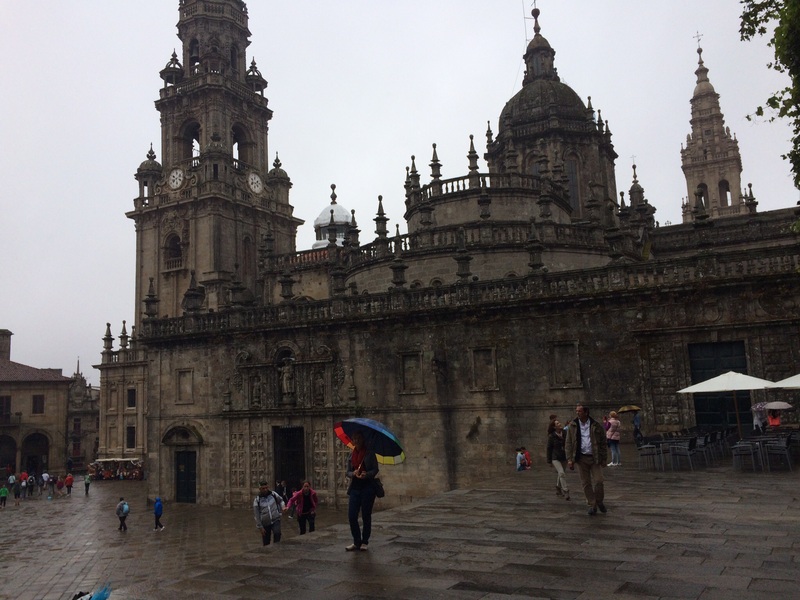 The rain is a way of life in Galicia region, so we adapted by sightseeing under a big umbrella provided by the hotel. Attending the noon mass (The Pilgrim’s Mass) in the cathedral followed by a tour of the cathedrals towers and rooftops was the highlight of one day. Our days started with a beautiful breakfast on the hotel’s glassed-in veranda, and continued with slow sightseeing which included lots of stops for stopping for street musician entertainment, shopping at a local tienda, buying fresh produce from the farmers market for picnic on a park bench or cathedral steps, and afternoon espressos, pastries or gelatos. 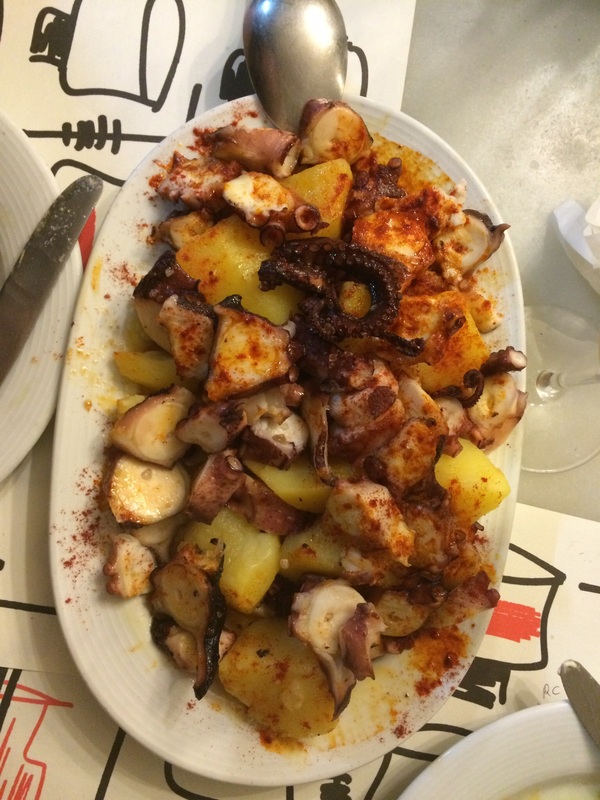 The evening was usually capped off with a late dinner – twice at a highly recommended eatery, Bodeguilla de San Roque where the Galician specialty, Pulpos de Feira (Octopus with paprika – sweet and hot) was a big hit. 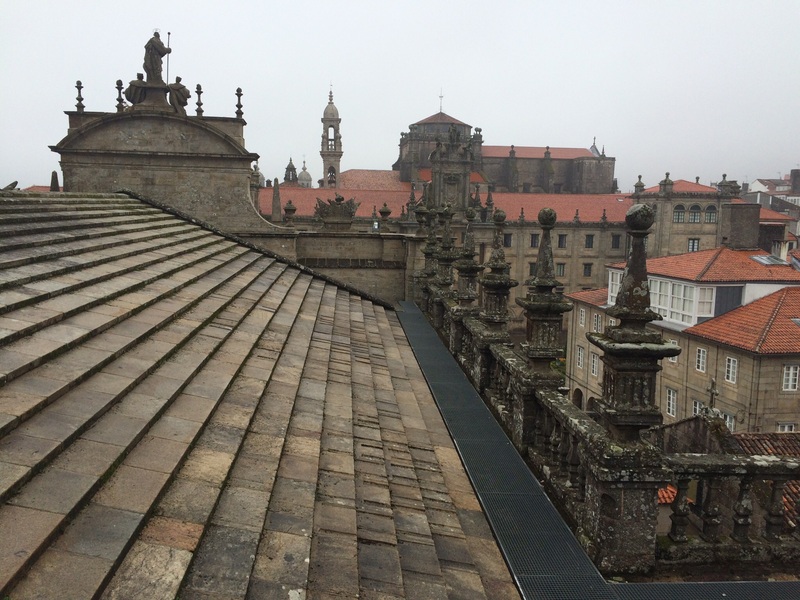 Santiago de Compostela is traditionally an ending point for most wanderers to the city, but for us it was a starting point from where we would train across northern Spain and experience many vastly different cultures from Galicia to Basque country to Catalonia. All aboard! 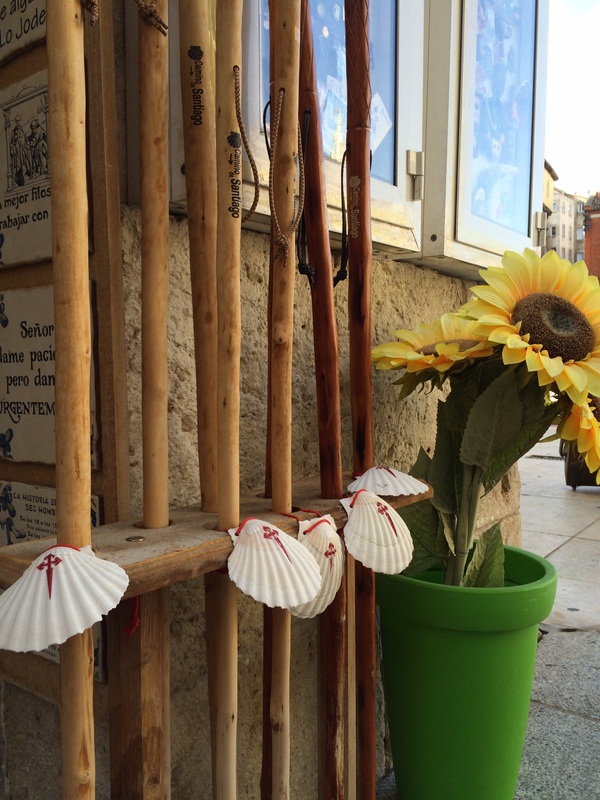 Next stop – Burgos.